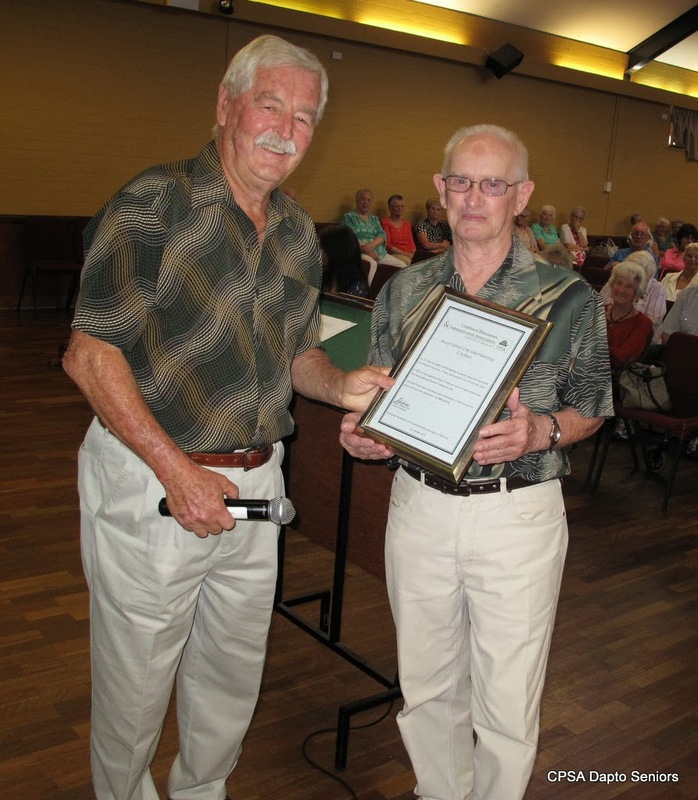 CPSA Dapto Seniors: News from the Front. At the 7th November meeting the club's President was very happy to present an Association Life Membership to one of our long standing members. Jim was the club's well respected Treasurer for ten years and still serves on the committee as a trustee. A well deserved award. 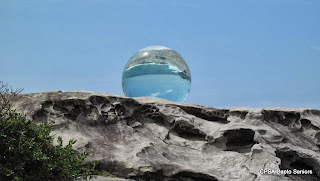 On Friday 1st November members of the walking group caught the train to Sydney to visit "Sculpture by the Sea" at Bondi. After alighting from the train at Martin Place the group caught a bus all the way to Bondi Beach where they spent some time exploring all the wonderful sculptures. Having seen all the exhibits at Bondi and Tamarama the group walked to Bronte where they had lunch in the park before catching a bus to Central Station and the trip home. The weather was perfect so it was a fascinating day out. The walking group needs a new leader, please volunteer to keep this popular group going. 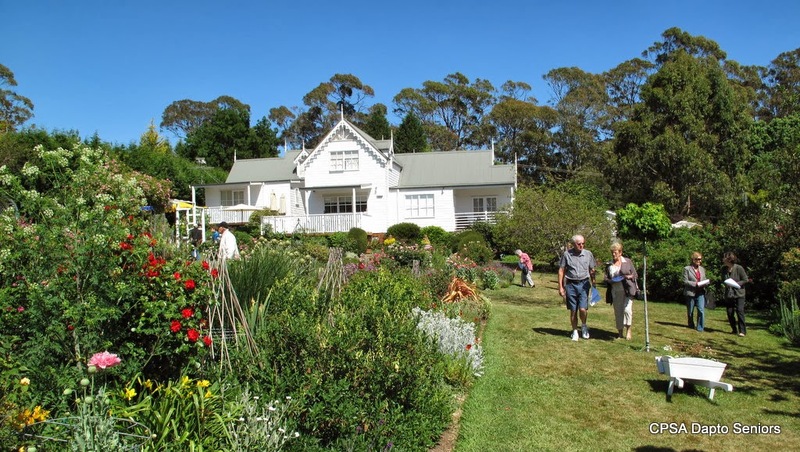 On the Monday following the walking group's trip to Bondi the club's monthly bus trip visited Chinoiserie Gardens near Mittagong. What a wonderful garden it proved to be, as you can gather from their name they had an evident Chinese influence. After a good look round the gardens some members took the opportunity to buy plants on sale in the garden nursery before setting off to Mittagong RSL for lunch and a chat. As usual it was a great day out.